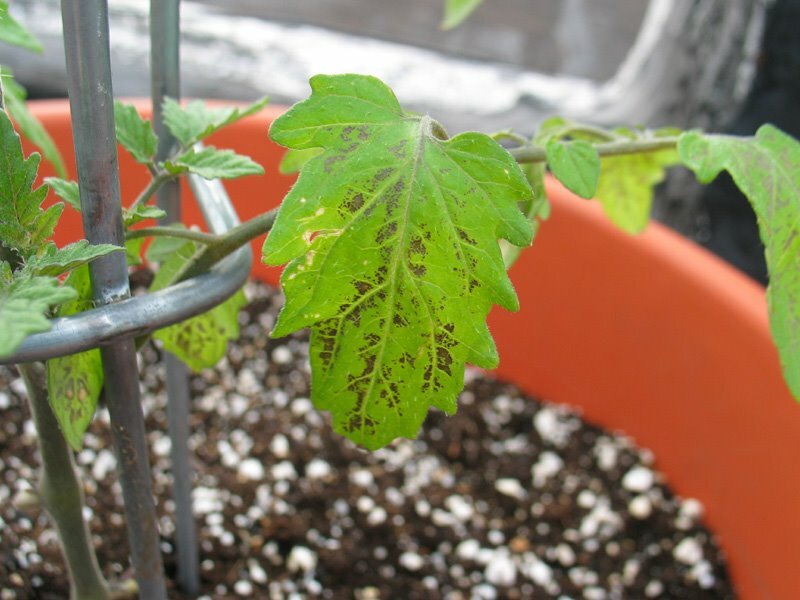 Container gardening vegetables is a great way to avoid many problems associated with growing vegetables in in-ground gardens, but it doesn't mean your plants will be completely immune to pests and/or diseases. Here's a quick list of every plant disease and pest I've had to deal with since I started container vegetable gardening, plus what I did or should have done to remedy the situation. This list will be updated regularly so check back every once in a while. Adventitious roots on a tomato plant. The roots themselves aren't harmful, they're just a sign something is going on with the plant. My case was due to plant stress, but there was nowhere else to move the planter so I just left it alone. Aphids on my eggplants. 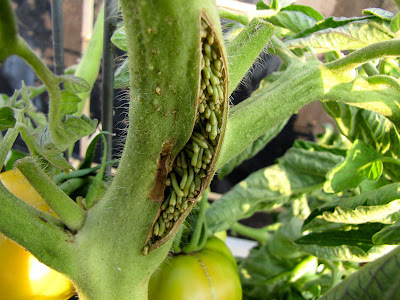 I removed them with a strong blast of water and ladybugs eventually appeared to feast. Also, one year some broccoli plants acted as an aphid magnet. Aphids devoured the broccoli, but left everything else alone. I doubt I could recreate the situation, but it's still worth mentioning. 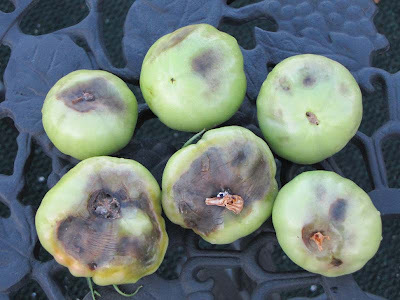 Blossom End Rot of my tomatoes. 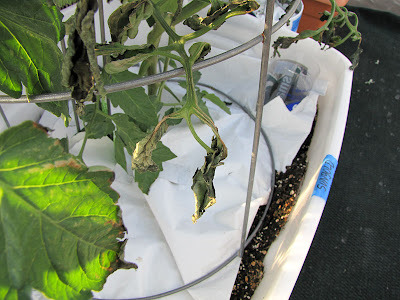 Removed the affected fruits and increased the watering schedule. Never ever let your containers dry out. Damping off of my seedlings. Removed the affected seedlings, drained excess water from the tray and increased the air flow around the remaining seedlings. Early Blight of my tomatoes. 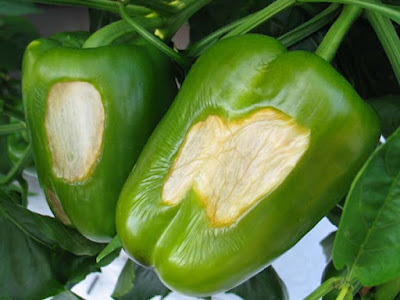 Sprayed the plants once a week with an organic fungicide. 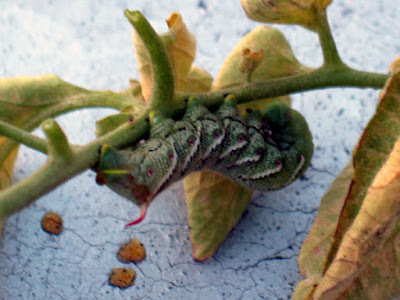 Hornworm caterpillar on my tomatoes. Picked it off and drowned it in soapy water. 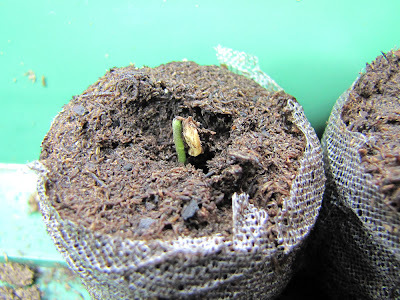 Inspect the soil to remove any pupa so they don't come back next year. 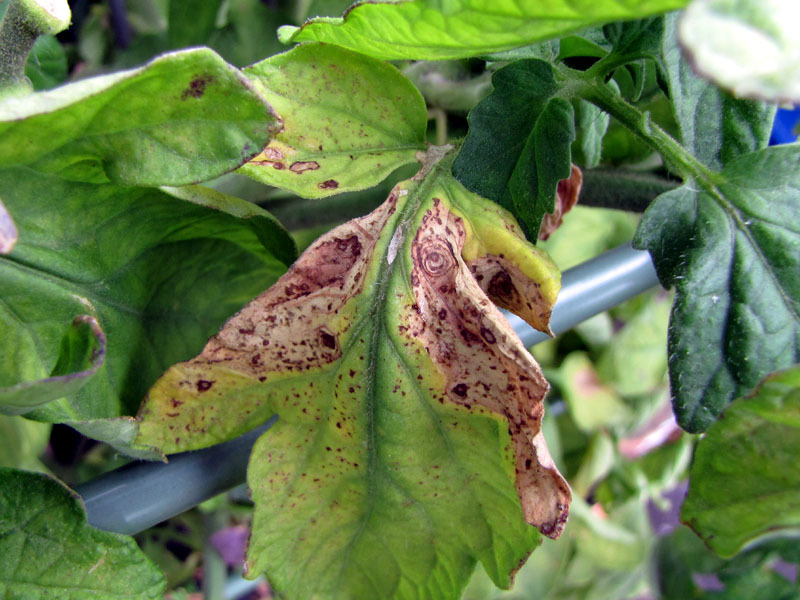 Magnesium deficiency of my tomatoes. Added epsom salt to their water. 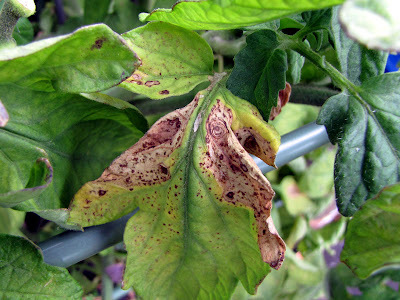 Phosphorus deficiency of my tomatoes. Covered the soil with black plastic mulch and waited for the weather to warm up. 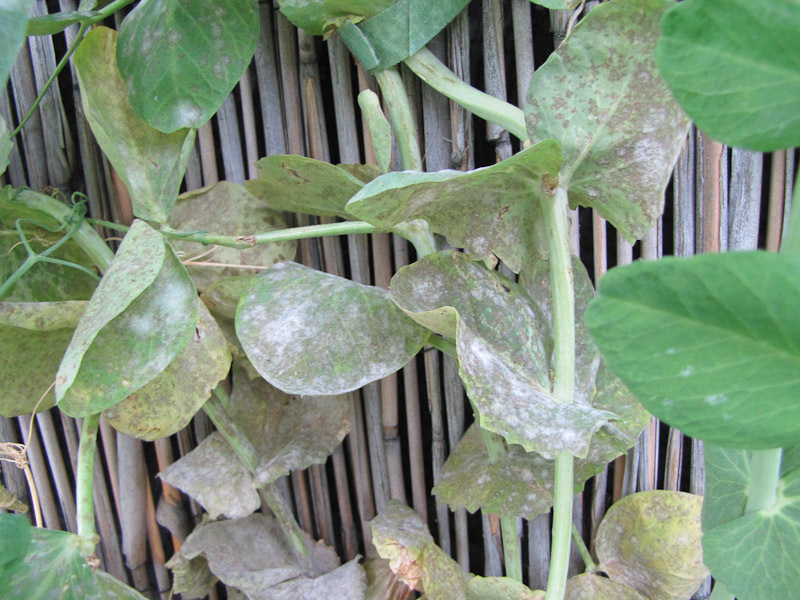 Powdery Mildew on my peas. It's too late in the season to bother about it so I'm leaving it alone. If it happens again I would try a baking soda solution. Sparrows ate my peas. By the time I figured out what was going on it was too late for my plants, but I'm sure netting would have solved the problem. 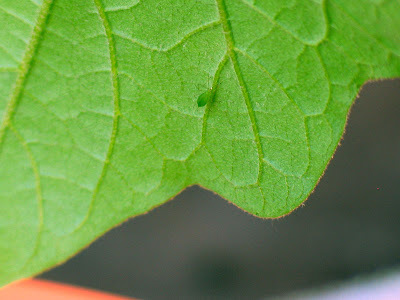 Spider Mites on my cucumbers. 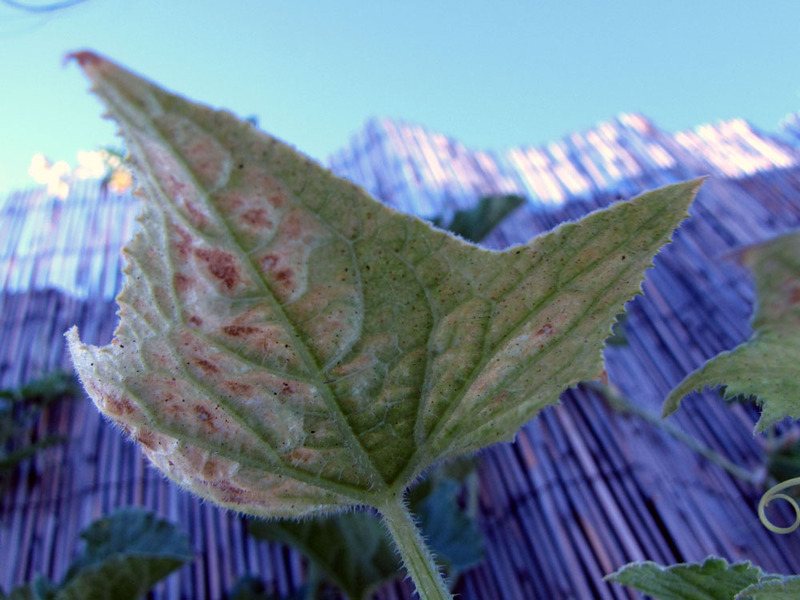 Doused the plant with a strong spray of water, especially the underside of the leaves, once a week. This did not get rid of them completely, but the plant did survive till the end of the season. Squirrels eating my tomatoes. The squirrel found the garden late in the growing season so I'm waiting until next year to examine my options. The squirrel did not return the following year so solution seeking is on hold for now. Sunscald on my sweet peppers. 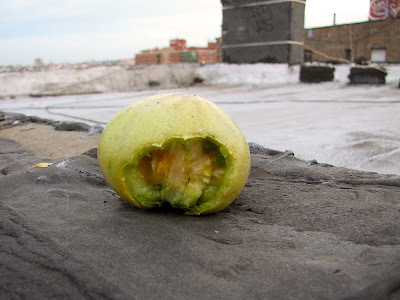 Cut off the affected fruits and make sure the rest are sufficiently shaded. Tomato fruitworm in my tomatoes. Removed and trashed the affected fruit. 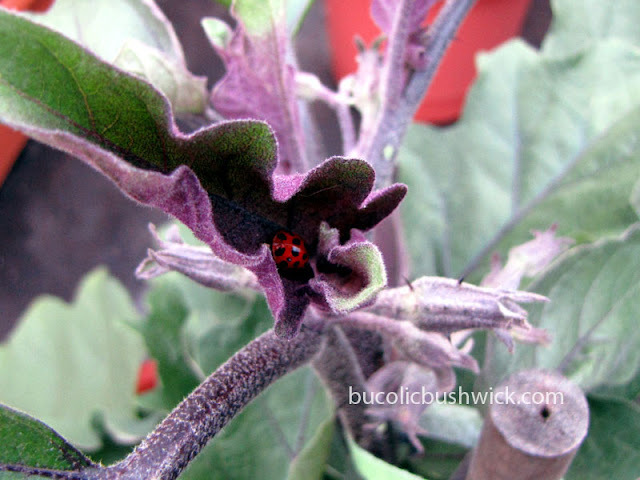 Inspect the soil to remove any pupa so they don't come back next year. 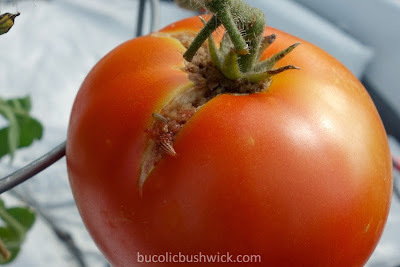 Windburn on my tomatoes. Moved the container to a more sheltered area on the roof.